Highways England has valued its new combined Maintenance and Response contract for the East of England at £490m over 15 years. The government-owned company has published the contract notice for the deal, which is one of three for the region to be let under its Asset Delivery model. 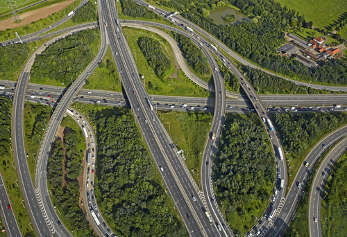 The notice states that Highways England is looking for a contractor to provide ‘all routine and cyclic maintenance, incident response, defect rectification, when instructed, and severe weather delivery on the all purpose trunk road and motorway network in the East Region (previously known as Areas 6 and 8) in accordance with its standards and objectives. The original notice gave two different figures for the value of the contract. However, after Highways queried this, Highways England confirmed that the correct figure is £490m and said that it would issue a correction. The current ‘asset support’ maintenance contract for Areas 6 and 8 with Kier is due to expire next year. As previously reported on Highways, the new contract will be for a duration of 15 years, but will have three-yearly service review periods. The notice states that this is in order ‘to continually ensure the validity and appropriateness of the community objectives, the scope, costs and also that the contractor remains the “right fit” for Highways England and the Community’. The deadline for receipt of tenders is midday on 14 November with tenders opened immediately on expiry of the deadline.